Andrew Yip has provided this view of Lukee in operation at the Red Cliffs Historical Steam Railway during early 2012. Fortunately this interesting locomotive was saved for posterity and plinthed in a local Red Cliffs park. After many years of being plinthed, Lukee was restored to operation by the Red Cliffs Historical Steam Railway Inc. for use on their two kilometre section of the former 1600mm gauge Red Cliffs - Morkalla branch line, which has been converted to 610mm gauge for tourist train operation. 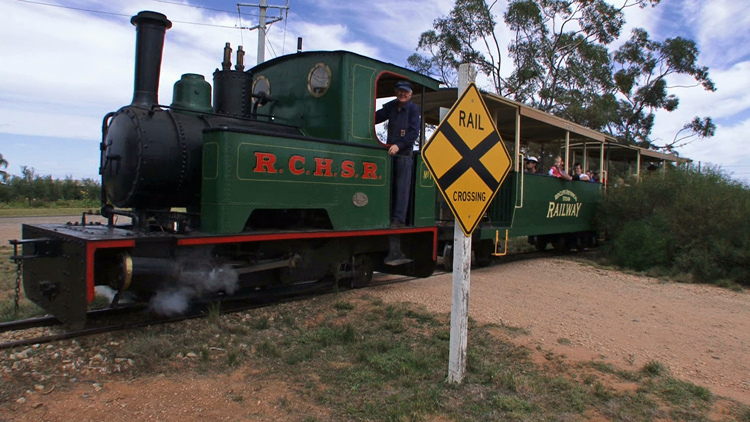 The Red Cliffs Historical Steam Railway normally operates on the first Sunday of each month from 11am to 4.00pm and on Easter Saturday and the Sunday of the Queens Birthday long weekend. 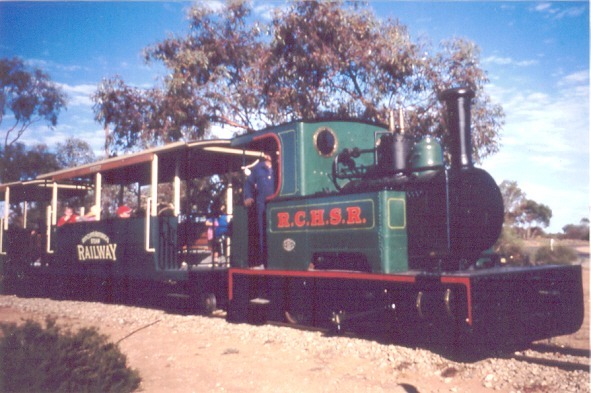 Today Lukee is the only complete survivor of the 15 Kerr Stuart locos imported to Australia; a history of these Kerr Stuart locomotives is provided by John Buckland in an article Light Railways, Number 76 of April 1982. This earlier scanned photograph was contributed by Mark Smithers and shows Lukee in operation at Red Cliffs. a 'Light Railways', Number 76, April 1982, published by Light Railway Research Society of Australia. 'Kerr Stuart Locomotives in Australia' by John Buckland, pp96. b Webmaster's personal observation or comment.